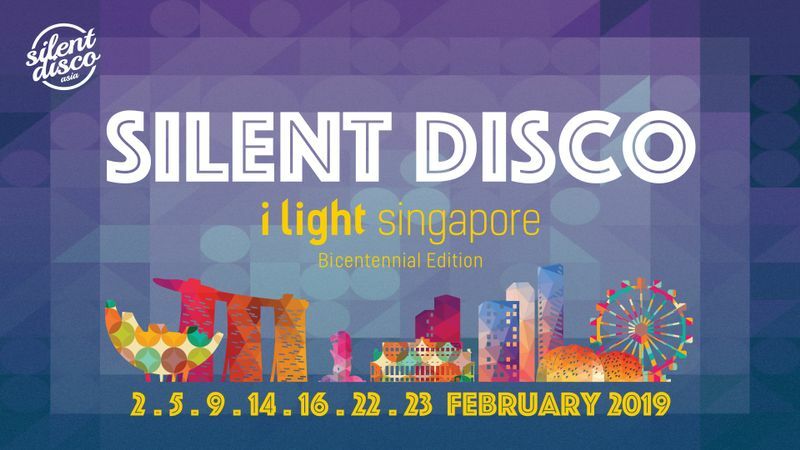 Silent Disco Asia is back with a series of events during iLight Singapore 2019, the sustainable light installation festival that lights up Marina Bay Sands throughout February. 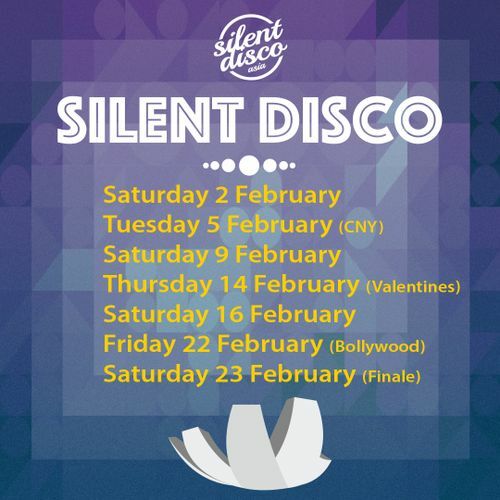 This year we are taking over the atrium space of the stunning ArtScience Museum which is situated right at the start of the iLight map, and we have added some extra special events to celebrate Chinese New Year and Valentines Day, as well as bringing, back by popular demand, the Bollywood special edition. 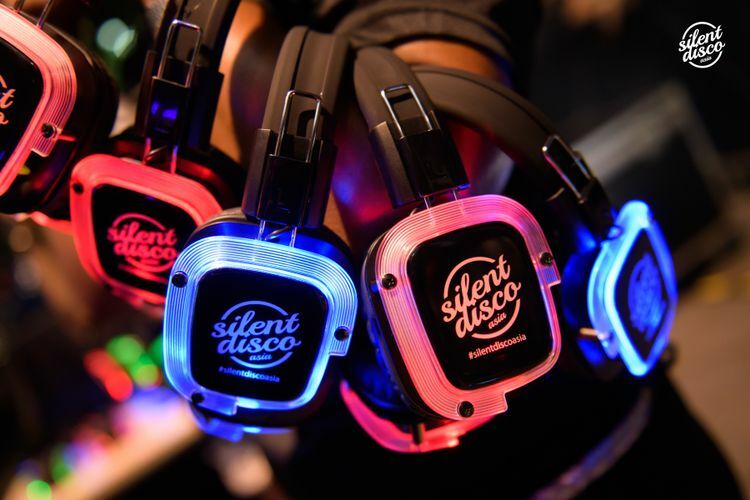 At Silent Disco there are 3 DJs playing simultaneously and party-goers are able to flick between the different channels on their individual headsets. 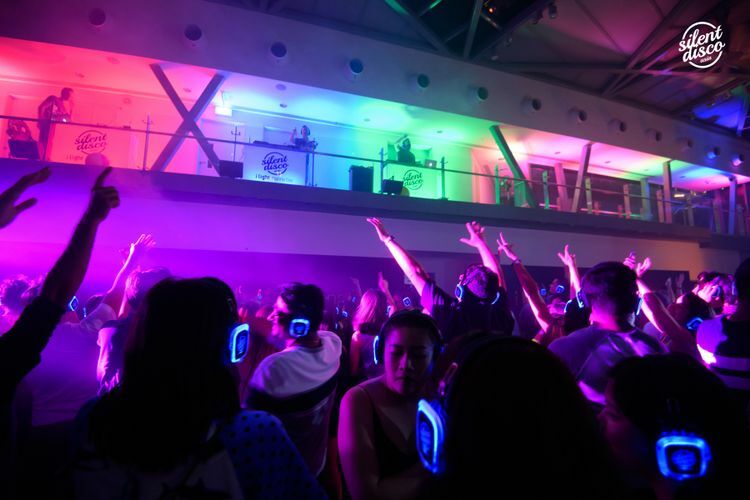 There could be the latest chart-topping pop grooves on the green channel, bumping electronic house and EDM music on the blue channel, and sing-along rock and indie anthems on the red channel—it’s up to you to decide what tunes you want to bounce to! 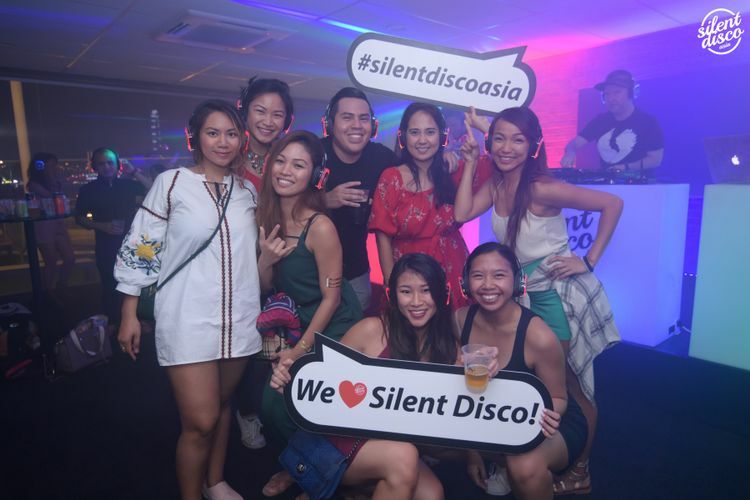 Our venue has a limited capacity of just 200 tickets so early advance purchase is advised for all events.